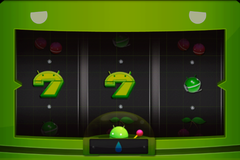 tSlot is slot software to draw lots. Enjoy this application at party, event and etc. 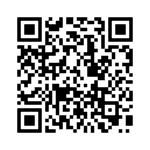 Tapping icon of tSlot and the application will start. 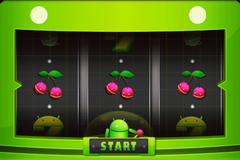 When the application is launched, slot machine will appear as below. 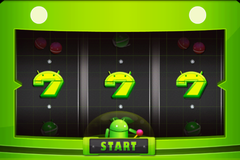 Tap START button and the application starts lotting. 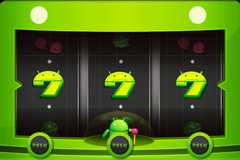 3 buttons appear to stop lotting. 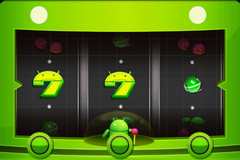 Tap 3 buttons to stop each slot. If you win, screen blinks with fanfare. By touching the screen and START button appears again. You can change settings from the menu. Setting screen is as below. * If password is set(refer "Password setting"), the application requires password to show settings. tSlot has various settings. Various settings will be changed from this screen. Shows number of prospective participant and prizes. "The winner is as follows when drawing lots 100 times. 1st place:1 times, 2nd place:5 times, 3rd place:25 times." * In this case, first prize is comes up once, second prize comes up five times, and third prize comes up 25 times when 100 drawings (no exception). * No prizes appear after all prizes came up. If number of entrant is fixed, you can avoid prize remains by setting "Number of expectation participants" to just. If you don't know the number of entrant, you can avoid prize remains by setting "Number of expectation participants" to low. It means number of prospective participant. Setting dialog as below is appeared by tapping this item.You can change the number of prospective participant on this dialog(Max. 999). Within the range of the value set here, the hit occurs. 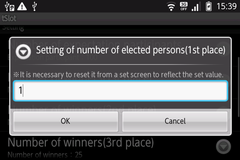 * The number should be larger than the summary of prizes(numbers of the first, second and third prize). * You should reset the application to apply this setting. 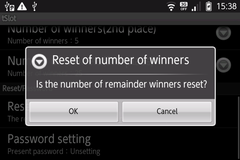 It means "number of prizes".Setting dialog as below is appeared by tapping each prize.You can change the number of prizes on this dialog(Max. 999). 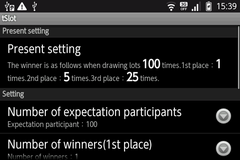 * Summary of numbers of prizes(first,second and third) should be lower "Number of expectation participants". When tap this item, dialog will appear and require your confirmation to do reset. * If you selected OK, all settings are initialized. 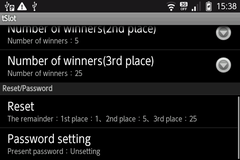 The number of prizes are set to the value of "Current settings" and the number of winners are set to zero. 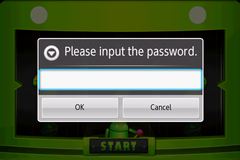 When tap this item, dialog will appear and you can set password to change settings of the application. If you choose "Cancel", nothing is changed. If you choose "No", the password is cleared. 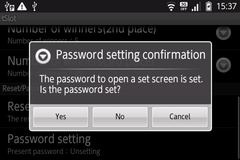 If you choose "Yes", dialog to set password appears. 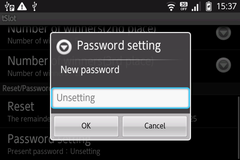 After set the password, the application requires entering password when you tap setting menu. 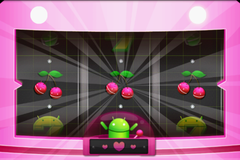 Download from GooglePlay Store "Games -> Arcade&Action"